Advocates for the uninsured are hoping the threat of Zika will spur Republican leaders to consider a massive expansion of subsidized health care to the low-income Texans they say are most vulnerable to the disease. When Texas officials announced earlier this month they would allow Medicaid to pay for mosquito repellent for low-income pregnant women — a move meant to stop the spread of the Zika virus — health care advocates greeted the news with tempered enthusiasm. They saw it as a tacit endorsement by Republican state leaders of the usefulness of the federal-state insurance program for the poor and disabled in the face of a public health emergency, but they wished the state had gone further. As Gov. Greg Abbott and the state’s health leaders make public service announcements saying Texas is on heightened alert for mosquito-to-human transmission of the virus, which has been linked to birth defects, many advocates for the uninsured have a different goal in mind. They want to use the state’s own words to spur Republican leaders to consider a massive expansion of subsidized health care to the low-income Texans they say are most vulnerable to the disease. “One of the things that surprised me a little bit was that the state did not opt to go ahead and make that [mosquito repellent] available to the roughly 3 million children on Medicaid, who we don’t want getting Zika, either,” said Anne Dunkelberg, an associate director of the left-leaning Center for Public Policy Priorities. “While it is certainly appropriate to prioritize women of childbearing age, and certainly pregnant women," she added, "there would be additional benefit from covering other folks." Republican state leaders have vehemently opposed expanding Medicaid in the four years since it became optional under the federal Affordable Care Act, which offers to foot most of the bill for states that provide health coverage to their low-income populations. And Texas officials have shown little sign of changing their minds any time soon. That comment came in an announcement that the agency had modified its Medicaid rules to make it easier for poor women who are pregnant or between the ages of 10 and 45 to obtain mosquito repellent by nixing a requirement that they get a prescription from their doctor. Smith boasted of the decision, issuing a press release saying Texas was the first state in the country to make the change. "This is another step in our comprehensive plan to protect Texas women and their unborn children from the Zika virus,” he said in the Monday release. "For this benefit to be truly effective, it is imperative to make insect repellent as easily and widely available as possible." Advocates for the uninsured pounced on the announcement, using it to renew their efforts to extend health care to Texans living in the “coverage gap,” meaning their incomes are too high to qualify for Medicaid but too low to buy subsidized health insurance under the Affordable Care Act. Estimates vary, but researchers think there are about 800,000 Texans in that category. "It's a smart move to make mosquito repellent easily available without an extra trip to the doctor,” said Adriana Kohler, a senior health policy associate for the advocacy group Texans Care for Children, which backs expanding Medicaid. The majority of Medicaid recipients in Texas are children. “It would be even smarter if Texas had expanded Medicaid coverage so these anti-Zika efforts could include women who may not know they're pregnant yet and partners of pregnant women," she said. Researchers have linked the Zika virus in pregnant women to microcephaly, a condition causing babies to be born with abnormally small brains and skulls. A small proportion of Zika infections may also trigger Guillain-Barré syndrome, an illness that targets the nervous system, scientists say. There have been 118 reported cases of the Zika virus in Texas, all of which were related to travel outside of the state, according to Texas public health officials. That count includes three pregnant women, two infants infected before birth and one person who had sexual contact with a traveler. State officials say there have been no confirmed cases of mosquito-to-human transmission of the virus in Texas. 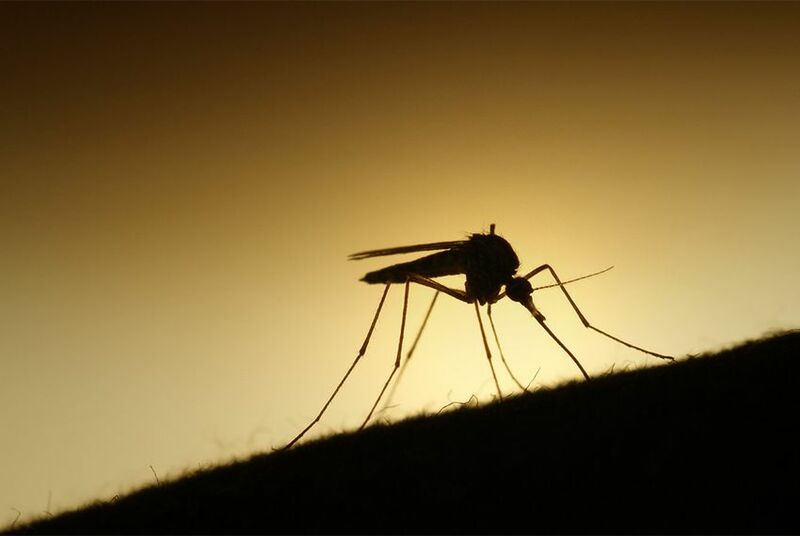 The continental United States experienced its first such local transmission last month in South Florida, and Texas officials announced on Monday that an El Paso County resident had contracted the virus — probably from a mosquito bite — after traveling to Miami. Last week, public health officials announced a Harris County baby died after being born with microcephaly. Most Texas Republicans have publicly opposed expanding Medicaid on the grounds that it would bloat a government program they already criticize as inefficient. Barring a dramatic change in the state's political climate, Medicaid expansion advocates face a daunting task to try to persuade state lawmakers to reconsider the issue in the 2017 legislative session. Texas is one of 19 states that have not expanded coverage. A spokesman for the Texas Hospital Association, a lobby group that has been one of the most vocal supporters of Medicaid expansion at the state Capitol, declined to comment. Still, some community groups say the growing apprehension about Zika has given them an opportunity to spread their message. “The reality is that if we had Medicaid expansion and people had coverage, you’d have more security,” said Tiffany Hogue, a policy director at the Texas Organizing Project, which advocates for low-income Texans. “The politicization of health care is possibly the worst thing for public health,” she said. José Camacho, executive director of the Texas Association of Community Health Centers, said that although he supports expanding Medicaid, it would not address many public health needs to combat Zika, such as insect spraying and investments in high-quality housing to protect low-income people from mosquito bites. It remains unclear how many Texans have taken advantage of the new mosquito repellent benefit. Bryan Black, a spokesman for the Texas Health and Human Services Commission, said the agency could not yet provide data about how many women had received mosquito repellent paid for by Medicaid. Zulma Menchu, a 29-year-old pregnant mother in Houston, said she was grateful to have state-funded health coverage during her pregnancy but has concerns about how she will get health care when her coverage expires after childbirth. She said she follows news about Zika closely. Disclosure: The Texas Hospital Association, the Texas Association of Community Health Centers and the Center for Public Policy Priorities have been financial supporters of The Texas Tribune. A complete list of Tribune donors and sponsors can be viewed here.